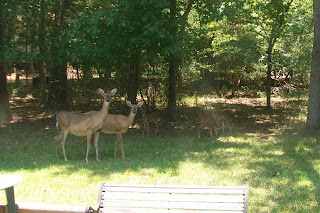 A picture of some of our backyard pets. And the baby deer have arrived!! There are 3 in this picture, hanging back a little ways from the moms.